The modern diet includes too much food, eating too often, and the wrong kind of foods. These errors at the dinner table create monstrous health problems that are now being addressed by fantasy politicians with “universal health care”. Instead of dealing with the underlying cause, let’s use drugs and surgery to mitigate the symptoms…until things getting really serious with some life-threatening disease. 50 million Americans suffer from an autoimmune disease. 14 million Americans are being treated for cancer or under watchful waiting. 90 million Americans are diabetic or pre-diabetic. These problems cannot be cured with a drug. These ailments must be addressed first at their point of origin: diet. Let’s look at just one of the above ailments that can be improved through lifestyle changes: Fibromyalgia. Fibromyalgia syndrome is a chronic pain disorder, which causes muscular or musculoskeletal pain with stiffness and localized tenderness at specific points on the body. This complex debilitating disorder can affect physical, emotional and mental health of the person with constant pain, fatigue, brain-fog, sleep disturbances and depression. Though, there is no cure, some lifestyle changes can help you ease associated fibromyalgia symptoms. Based on the personal experience of many patients, some foods may help in relieving fibromyalgia symptoms by easing pain and overall discomfort. A healthy balanced diet that includes more of plant based foods such as fresh fruits, vegetables, whole grains, legumes, nuts and seeds is recommended, as these plant foods are loaded with antioxidants, which help in relieving inflammation and pain. Also, whole plant foods have fiber that help in providing sustained energy and relieve tiredness in fibromyalgia patients. The most commonly eaten vegetables in America, according to the United States Department of Agriculture, are catsup, french fries, and onion rings. This is laughable. These are not real vegetables. The typical American eats 150 pounds per year of refined sugar. These are among the errors in nutrition that create our $3.2 trillion per year health care boondoggle. And the politicians want to provide all these people with free health care without any consideration to the underlying cause of the diseases. Avoid refined and processed, fried, sugary and salty food, as these foods give you a quick high that is followed by an imminent crash. These foods are also often loaded with food additives like MSG, preservatives like nitrates and aspartame that can worsen fibromyalgia symptoms. Other common allergens in fibromyalgia patients are eggs, gluten and dairy. Though, exercise is the last thing that comes to mind when you are having chronic pain and fatigue but it is one of the most effective treatments. Regular exercise improves circulation and eases pain, stiffness and fatigue, which helps fibromyalgia patients to feel better, less stressed and more energized. Another benefit of exercising is it helps in keeping weight under control. Is Your Weight Causing these Health Issues? It is found helpful in obese fibromyalgia patients as they started enjoying a better quality of life i.e. less pain and depression, fewer tender points and better sleep; after losing weight.Start slowly by taking small steps toward becoming more active. Choose any gentle exercise like walking, swimming, stretching, yoga, cycling, water aerobics and strength training. However, you need to be careful and flexible in your approach. The best thing is to listen to your body, know your limits and take breaks when you need them. To reduce chronic and intense pain, you can try various physical therapies i.e. application of heat or cold, massage, water therapy, acupuncture and osteopathic or chiropractic manipulation. Then, choose the one which serves you best. Application of heat, especially moist heat helps in relieving soreness and stiffness by boosting blood flow. So, either apply a warm, moist washcloth to the painful area or soak in a bath. Cold pack may also help in reducing deep muscle pain. Acupuncture especially electro-acupuncture, where acupuncture is combined with a pulsed electric current is found helpful in easing chronic pain. Massage therapy, besides easing muscle pain, helps in increasing mobility and reducing stress, anxiety and depression. It can also improve physical function by improving muscle tone and flexibility. You can try massaging painful areas, on your own, with the help of some firm object.However, be watchful and gradually implement various physical therapies, as sometimes even light pressure can worsen your pain. 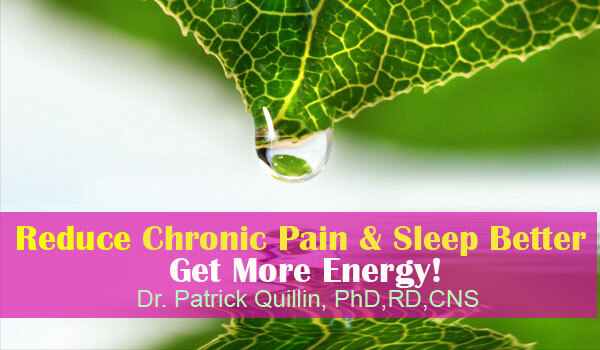 Often pain and anxiety in fibromyalgia patients disturb their sleep, which may further worsen the associated fatigue. However, practicing sleep hygiene i.e. good sleep habits can help in improving sleep quality. Your body needs the right environment to get a good night’s sleep. So, set a sleep schedule and stick to it by going to bed and getting up at the same time every day, including weekends and holidays. Develop a relaxing bedtime ritual i.e. light reading or taking a warm soothing bath. Also, make your bedroom comfortable and welcoming by keeping it quiet, cool and dark.If you are used to taking nap during the day, take it before 3 p.m. and keep it shorter than one hour. Limit your intake of stimulants like caffeine, alcohol and cigarettes, which induce production of stress hormones and reduce the quality of sleep. If you must, take caffeine (coffee, tea, energy drinks and cola) in early parts of the day and avoid drinking and smoking within three hours of bedtime. Eat light and early dinner and avoid deep fried, fatty, sugary, spicy and gas causing foods, as these may disrupt your sleep. Fibromyalgia sufferers are often under lot of emotional and mental distress. Constant stress drains the endocrine system and alters hormone levels, which may cause or trigger fibromyalgia symptoms. So, you need to take daily measures to manage your every day stress load. Reducing stress will help in easing almost all of the fibromyalgia symptoms i.e. depression, anxiety, fatigue and sleep problem. To reduce stress, you need to give your body time to adjust and fulfill life’s demands by setting boundaries, modifying your work schedule and taking out time to decompress and relax during the day. Try relaxation techniques that help in reducing stress and pain such as deep breathing, meditation, yoga, aromatherapy and biofeedback. Biofeedback is a technique that uses mind-body connection to control chronic pain with the power of your mind.Besides meditation, time management and organization help in handling mental stress. To manage emotional stress do something you love such as reading, listening to music, or taking a walk. Also, take out time for reflection, focus on the positives and let go of any hold up emotions. Herbal remedies such as St. John’s wort, ginkgo biloba, echinacea, black cohosh, cayenne, lavender, milk thistle may help in reducing fibromyalgia symptoms. Also, supplements like 5-HTP (5-Hydroxytryptophan), melatonin, SAMe or SAM (S-Adenosyl methionine) and L-carnitine have been found helpful in improving overall health of fibromyalgia patients by relieving pain, fatigue and sleep problems. Dietary supplements such as magnesium, vitamin-B and vitamin-D may also help in reducing pain and boosting energy levels. However, before taking any herb or supplement do talk to your doctor about possible side effects or herb-drug interactions.